Newdelhi:1/11/18:As the Indian Institute of Mass Communication (IIMC) moves towards a ‘Deemed to be University ‘status it is imperative that it ensures an adequate faculty strength. This means that existing faculty are given proper avenues of Career Advancement. Positions which then continue to remain vacant should be filled through recruitment. This was stated by Shri Amit Khare, Secretary Ministry of Information and Broadcasting (I&B) while chairing the 139th Meeting of the Executive Council of the IIMC, Delhi . He underlined the requirement of IIMC seeking approval for creating the entire range of posts that UGC mandates for such institutions, which can then be filled as an when the need arises. He also directed that a proposal of filling up of vacancies of the non teaching staff also put up to the Ministry at the earliest. The EC meeting approved new faculty positions for the IIMC Campuses at Dhenkanal, Aizawl, Amravati, Jammu and Kottayam. Shri Khare emphasised that IIMC must look at international partnership as a means of spreading Indian soft power. He concurred with suggestions of Executive Committee members that IIMC look at fruitful working relationships in ASEAN countries and also with the Central Asian region. He said that the need of hour is to develop a strategy for International relations for the Institute. Members raised their concern about the need for greater education on fake news and ability to discern appropriate news among the clutter. DG, IIMC pointed out the Institute is engaged in organizing workshops on this subject and developing a pedagogy for the same. The Chairman, Shri Khare pointed out that while building relationships with social media players, due diligence must be followed. 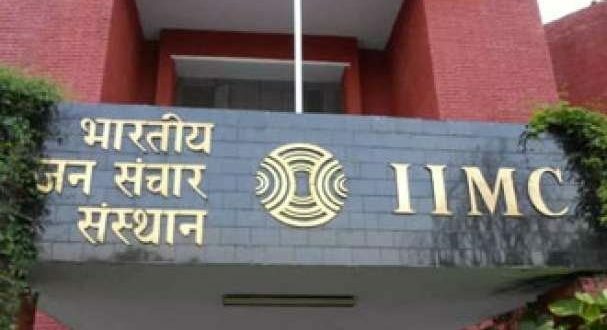 Chairman stated that the IIMC has a special responsibility to develop a connect between media institutions. He also underlined that the EC meet every 3 months, in order to ensure the EC has continued engagement with the affairs of the Institute. The IIMC EC agreed to name the main road within the IIMC after late Shri Atal Bihari Vajpayee, the former Prime Minister of India. Shri Khare giving his view subsequent to suggestions , stated that an annual lecture be also instituted in the memory of, and named after the former Prime Minister. It could be slotted around his birth anniversary, he added. A large number of suggestion were made by members to further establish IIMC as the premier institution not only is India, but also in South Asia. The meeting was also attended by Prof. Makhhan Lal, of the Delhi Institute of Heritage Research and Management, by Prof. Vijay Dharukar VC, Tripura Central University, Shri Rakesh Khar, Editor( Special Projects), Network 18, Shri Hitesh Shankar Editor Panchjanya, Ms. Smita Prakash, Director News, ANI, DG,IIMC besides representative of Ministry of I&B and Faculty of IIMC. Next: Odisha Chief Minister lauded the role of veterinarians and agriculture officers in strengthening the rural economy.